If you happen to own a lot of property, or, better yet, a ranch, it’s quite possible that you own Ruger’s Mini 14 Rifle. It’s great for sport shooting, but it’s also just an awesome standard rifle that’s easy to keep in the back of your truck as you drive around your acreage. If you’ve got this rifle in your arsenal, you’re going to need the best scope for your Mini 14. We’ve put together a list of our favorite scopes, and – as always in our scope reviews- we’ll let you know what we think is the best option for the average gunowner. We do realize that you may have other uses for your Ruger rifle than sport, so we tried to cover other purposes with the scopes we’ve selected. No matter what, the important factors to consider are price and durability. 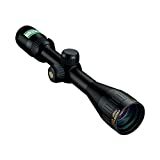 Materials – The Nikon Prostaff Target Precision is a single, one inch, foot long tube with a matte black finish. It has an objective lens size of 40 mm, and it’s coated with multiple layers of anti reflective compounds, offering maximum brightness, contrast, and light transmission. The Nikon Precision Reticle features a fine crosshair with a dot, and it can be focused starting at 10 meters. The magnification power is 3x to 9x. Quarter inch adjustments can be made at 50 yards, and there’s a 80 MOA adjustment range at 100 yards. It comes with zero reset turrets that lift with a spring loaded knob for quick re-engagement. Performance – Nikon is an incredibly popular name, and you can trust that the brand offers a great scope for Mini 14 rifles for anyone who wants a superior focus and accurate targeting. The look is sleek, and it adds under a pound of weight to your Ruger Mini 14. It’s slightly on the heavier side, but we find this still pretty reasonable. Of course, it is totally shock proof, water proof, and fog proof. We trust Nikon for a clear sight, which is one of the most important things when you need to quickly acquire your target. Most impressive is the high quality crosshair reticle, which really does its job. What we say – The Nikon Prostaff Target Precision Scope is the best Mini 14 scope for anyone on a bit of a budget because this is the cheapest option within this review. It will cost a little under $190 online, which is a pretty decent price coming from Nikon. If you want a sleek look with a simple but effective design, then this just might be the top choice for you. Materials – The Bushnell Trophy Ruger is another one inch tube with a matter black finish with a similar sleek and simple design. It comes with seven configurations and six reticle options, which is intended to satisfy every hunting application. The 40mm objective lens has a Rainguard HD coating, making it fog and water proof. It is, of course, also shock proof. It offers a clear picture through the sight, and it has a fast focus eye piece to help every hunter take down their prize with speed. 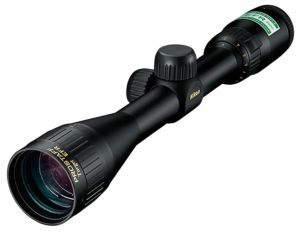 The variable magnification range is 4x to 12x, and it has side parallax adjustment knobs. Performance – Bushnell is another great brand name for scopes, and the Trophy model is the best scope for Ruger Mini 14s due to its focus on hunting accommodations. The long magnification range makes this scope perfect for using on ranches or other property with a large amount of acres. Again, the sleek look of the Bushnell Trophy adds definition and discreteness to your rifle while offering a clear picture that won’t be affected by various weather conditions. Our one complaint? There seems to be a short eye relief, but you’ll have to test it out for yourself to see if this will really impact your shooting/hunting. What we say – The Bushnell Trophy Scope is going to cost you around $100 online. This is another trustworthy brand name that would be worth investing in, and it’s the best scope for mini 14 rifles for anyone who loves hunting or shooting game from particularly far yardage. Materials – The Lucid Prismatic Weapons Scope for Mini 14 Rifles is physically something else and offers a whole other level of clarity and sight. The body is made of a cast aircraft grade aluminum frame that is wrapped in a durable leather housing. The objective lens is 30 mm and is 100% shock proof, water proof, and fog proof. The P7 reticle is designed specifically for a fast target acquisition, and it’s intended more for combative use. However, this is also a great attribution for hunting. This lens has a fixed 4x magnification. This is an incredibly durable scope that can take a lot of power and recoil. It also offers over three inches of eye relief. It takes AA batteries, which are incredibly cheap to replace. Performance – The Lucid Prismatic Weapons P7 Reticle Scope is the best scope for mini 14 ranch rifles if you have standard and predictable uses for it. If that’s the case, then you’re investing in a fantastically high quality scope with a clear picture. Focusing can happen quickly and effectively. A 4x magnification is a great standard fixed power to have, so this is a quality piece to add to your arsenal. That being said, it’s a heavy accessory. It weighs almost one and a half pounds. That being said it can clearly handle a lot. If you’re a working man or woman, and you don’t have time for flimsy one inch tubes, you’re going to want to take a look at the Lucid Prismatic Weapons P7 Reticle Scope. What we say – The Lucid Prismatic Weapons P7 Reticle Scope sells for anywhere between $350 to $390. Oh, yeah, we’re definitely getting up there in the price range. If you need a scope that’s more heavy duty, and you aren’t necessarily looking for a 12x magnification, this is the best scope for your mini 14 ranch rifle. Materials – The Leupold Mar AR MOD Ruger is made of both a polymer and aluminum body in a sleek, matte black finish. The 40mm objective lens is multicoated to increase light transmission while also reflecting any glare or outside light. 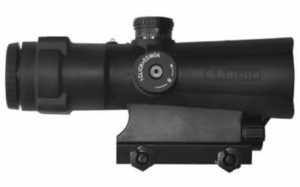 This scope is also shock proof, water proof, and fog proof, and the water proofing is specifically done with argon and krypton. The quantum optical system allows for clarity and precision while shooting. The magnification power is 3x to 9x, and the reticle type is the FireDot TMR, which is illuminated. Performance – The Leupold Mark AR MOD is a wonderful addition to add to your Ruger Mini 14 due to its low profile and high quality function. 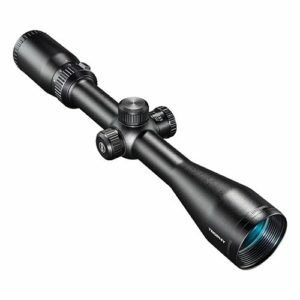 While a lot of the features are fairly standard ( the magnification range, shock/water/fog proof system, and objective lens), this is a great scope to use on a range for hunting and defending your home. There’s truly very little to complain about with this scope except for the fact that it’s the most expensive option within this review. Leupold didn’t skimp on any of the parts of this scope, down to the little adjustment knobs. 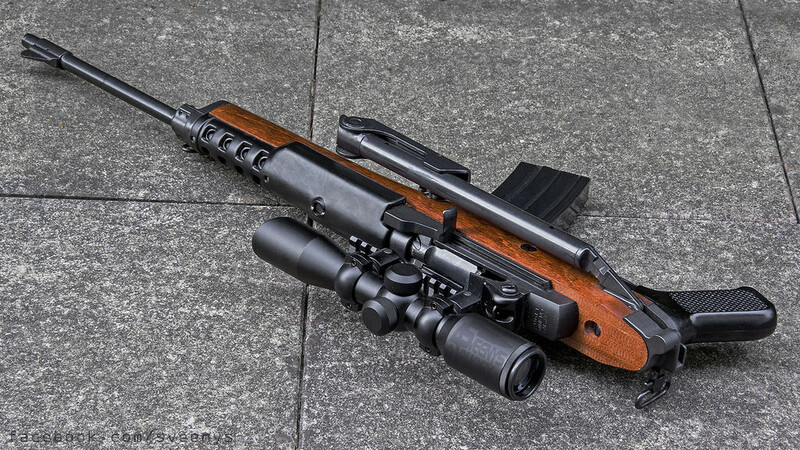 This Ruger Mini 14 scope should last you through some good time. 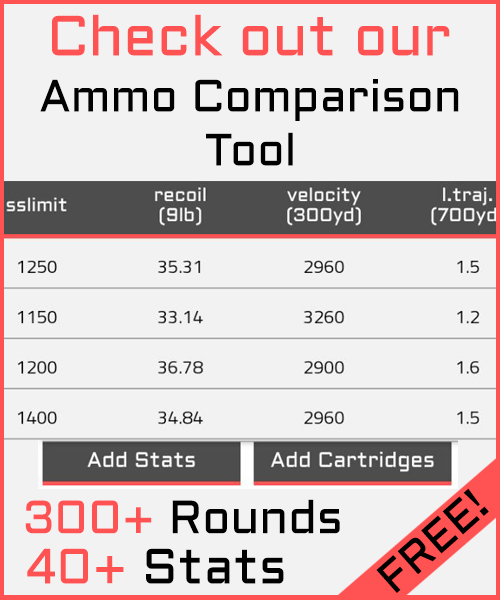 What we say – The Leupold Mark AR MOD Ruger goes for around $230 online. Although this is the most expensive option within our review, that’s definitely a lower price for the level of quality we’re looking at here. You won’t have to worry about anything falling apart or receiving a faulty piece when you purchase from this brand. After some debate, we finally agreed that the Bushnell Trophy is the best scope for your Ruger Mini 14 rifle. We initially wanted to give this spot to the Leupold Mark AR MOD scope, but a nearly $400 scope will likely be out of the price range for your average gunowner. The Bushnell option here is an equally trustworthy brand name that delivers high quality function at a much small cost: almost half as much as the Leupold. 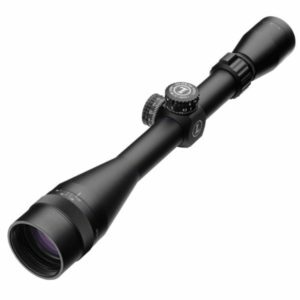 We also chose this one because it offers a little more than your standard 6 power magnification range. With an up to 12x magnification, you can do a little more than surveying your property. We highly recommend looking into the Bushnell Trophy.